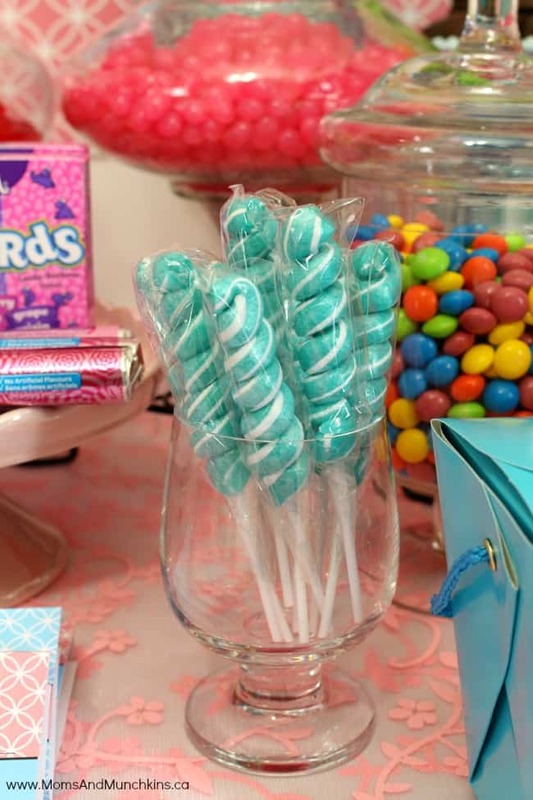 Wondering how to plan a candy buffet? Seems easy enough, right? Grab some candy, set it on the table and let the kids dig in! 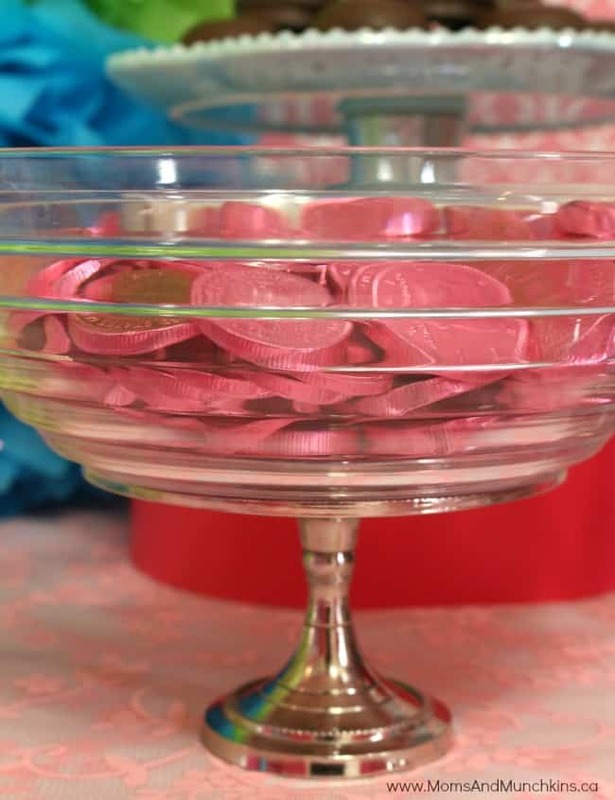 Candy buffets are really popular at parties because most kids love candy and it’s a party favor you know they’ll actually enjoy. There are some questions that come up in the planning process though like how much candy will you need? 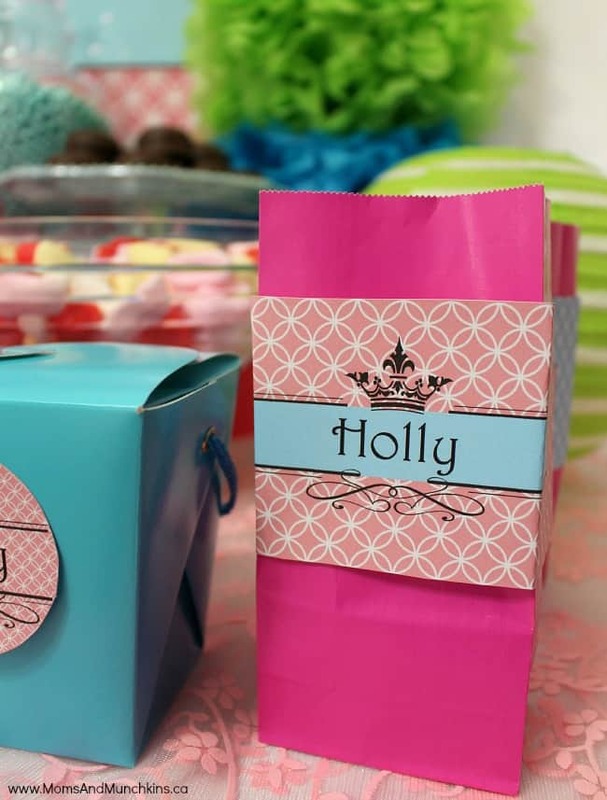 How can you personalize it for your party? What type of containers should you use? How about the kids with food allergies? 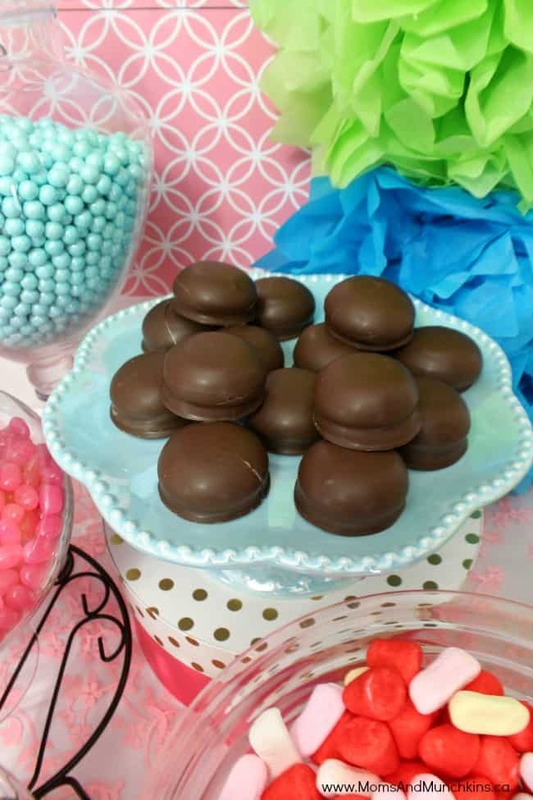 You’ll find my guide to Planning The Ultimate Candy Buffet in the latest issue of Calgary’s Child Magazine but I’ll share all the photos with you here to help you get started on ideas. Make sure you check out the full magazine article for all the tips & tricks! 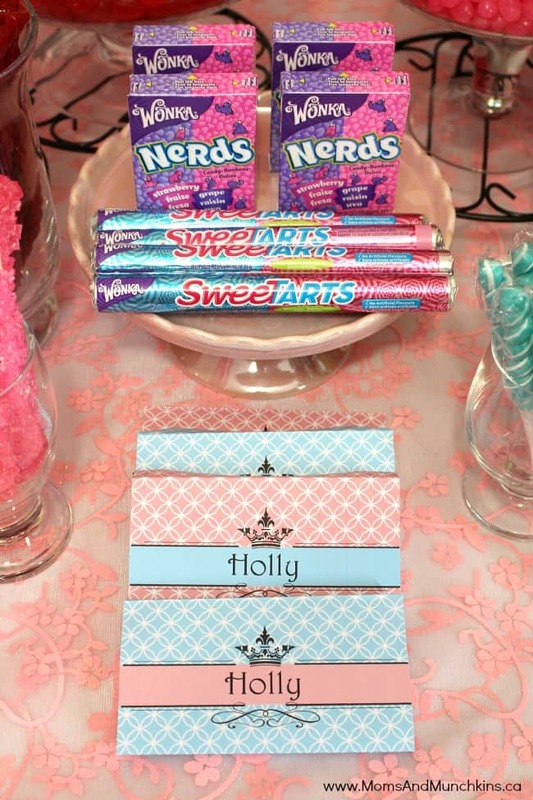 Candy buffets are so easy to personalize! 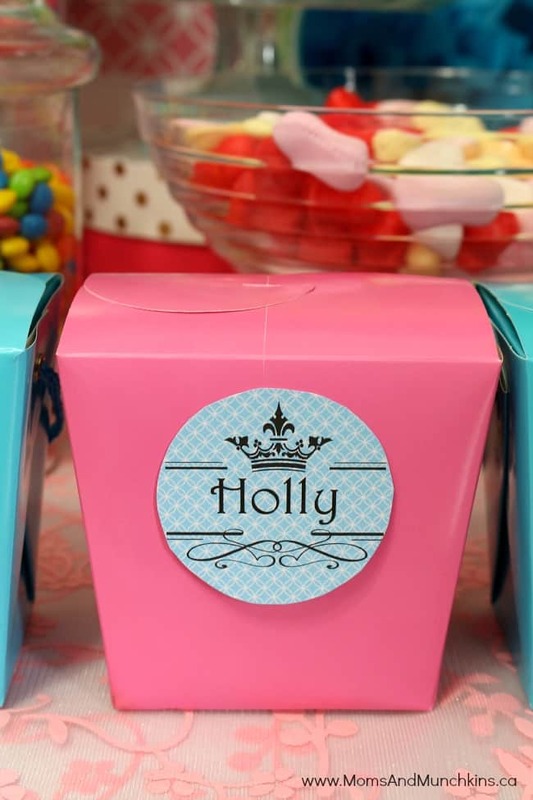 You can choose a color theme, go with all your child’s favorite candies, give the candies silly names to go with your theme (like green gumballs at a Minecraft Party could be labeled as slime balls), wrap the candies in personalize wrappers and more. The possibilities are endless! Don’t forget about the kids with allergies! As the mother of a son with allergies, I know how hard it is to see my son left out at parties. 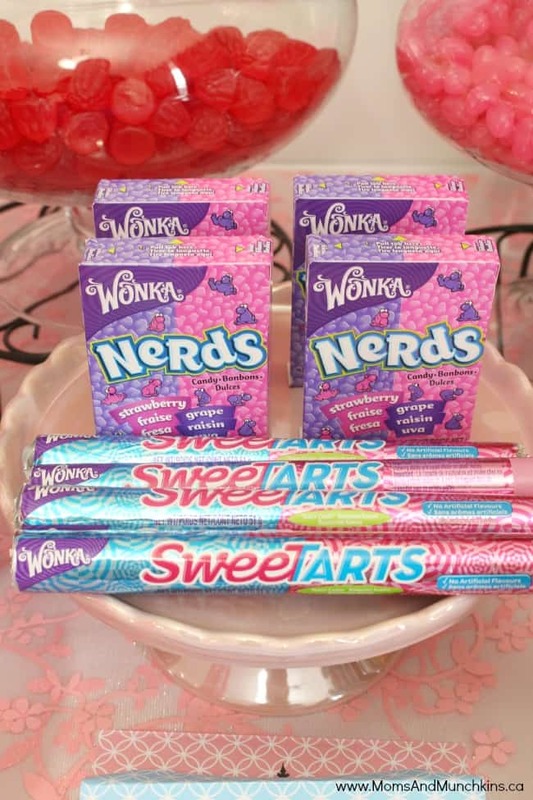 If one of your guests has allergies, talk to his or her parents and ask them for some candy suggestions. There are so many options these days for allergy-friendly treats. 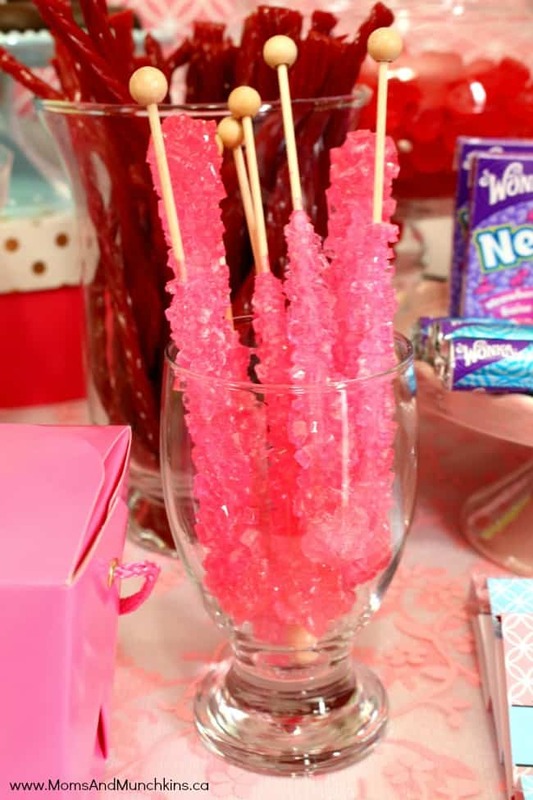 Everything I’ve used in this party was safe for my son to eat…but he doesn’t like candy! I love candy so I guess he didn’t take after me with the sweet tooth! 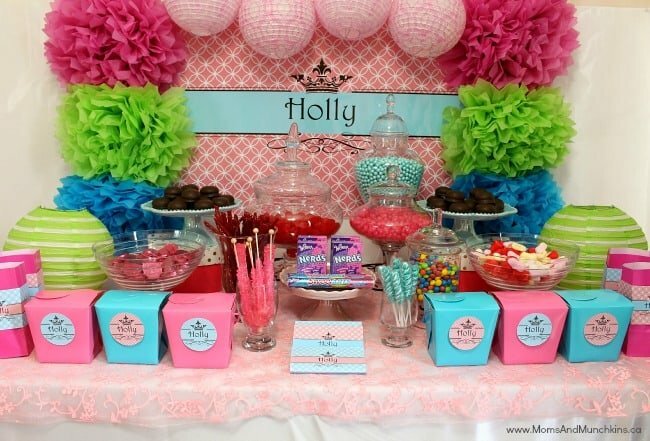 You don’t have to have a color theme at the party but it does help when styling your dessert table. 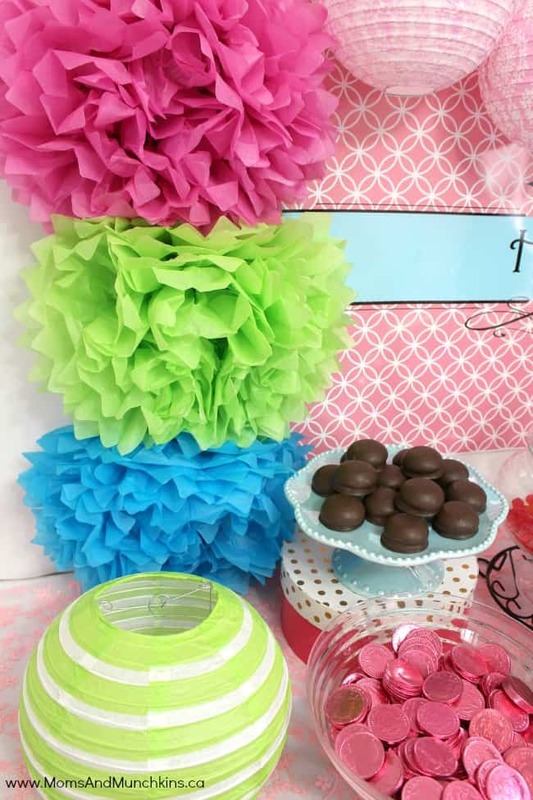 You can add accents of color in tissue paper fans, lanterns, tablecloths and more! When it comes to containers, clear containers work best so kids can see what is inside each. If you have younger guests at your party, you’ll want to stay away from glass or make sure you have someone at the table to help with the scooping. Don’t forget to visit the full written article filled with tips in Calgary’s Child Magazine! 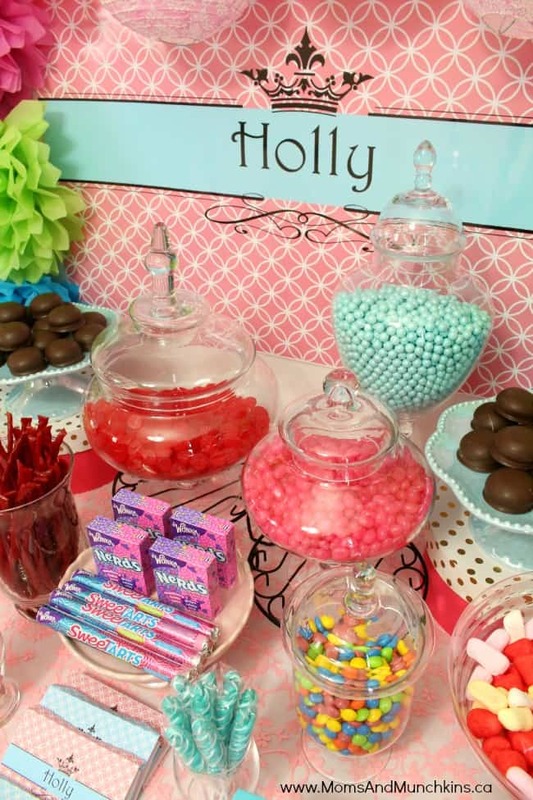 To help you plan your ultimate candy buffet, we have printable party supplies that we can customize for you with your child’s name and favorite colors. 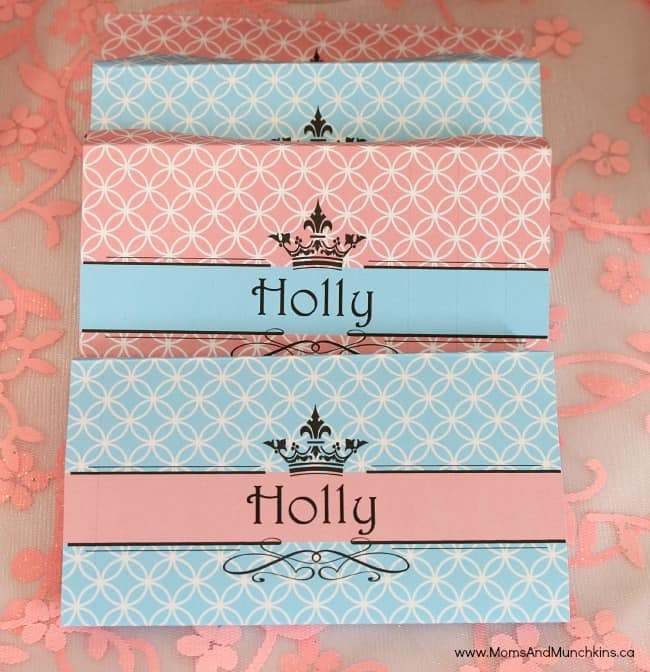 Thank you to the fabulous Wendy of Wendy’s Printable Party for helping us design this set! 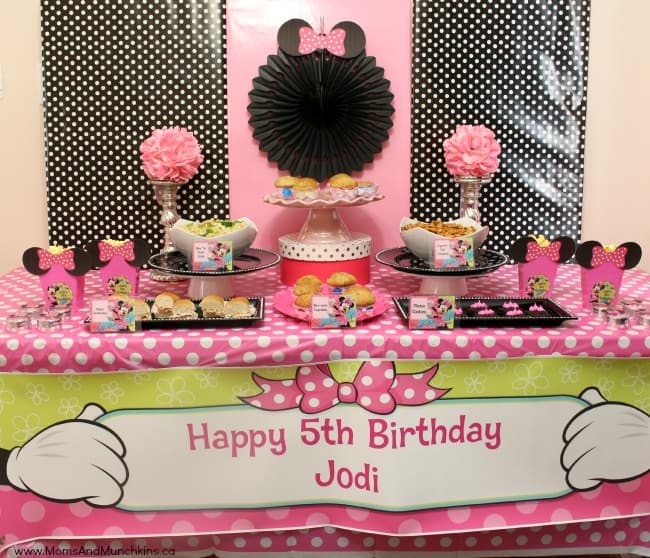 Visit our Birthday Parties page for even more fun party ideas like this Minnie Mouse Party! Disclosure: I was compensated for this post; however, all opinions expressed here are my own.